Headed over to Bangsar South on 16 August 2018 for the launch of the new OPPO F9 smartphone in Malaysia. 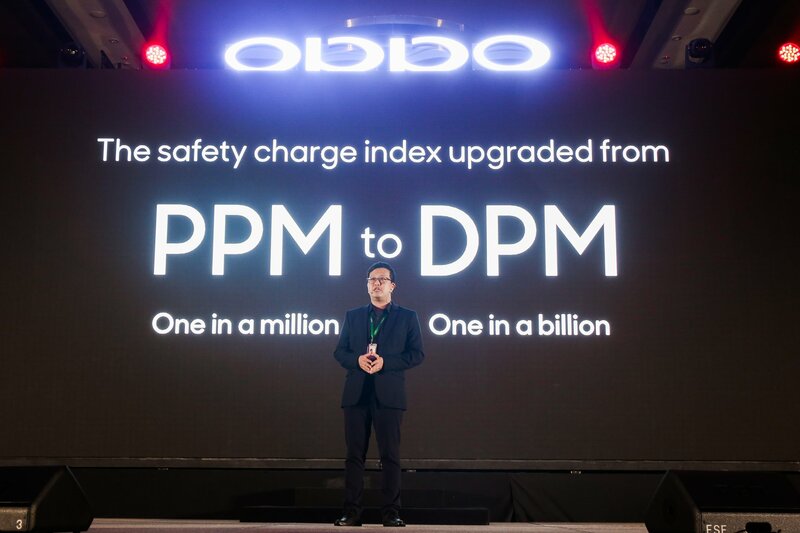 For the first time, the new OPPO F9 ships with VOOC Flash Charge – a technology, independently developed by OPPO, that has a charging speed which is four (4) times faster than standard charging at 5V1A. 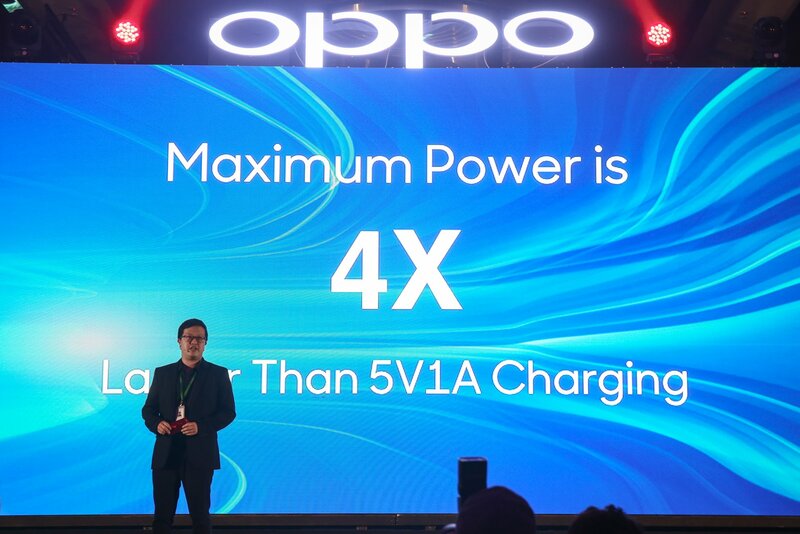 Oppo claims that a quick 5-minute charge is enough to maintain 2 hours of talk time. In addition to increasing the charging speed by four (4) times, VOOC also boasts an intelligent five-layer protection system from the adaptor to the port and interior of the phone. 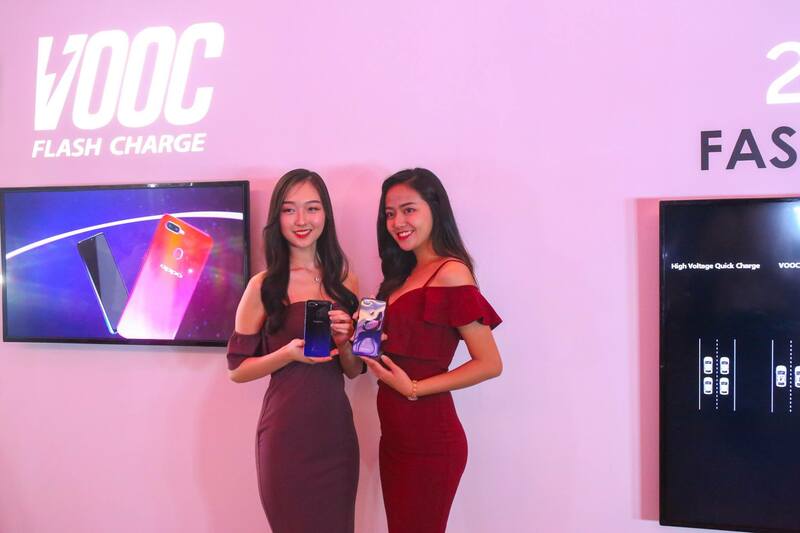 VOOC has replaced the voltage reducing circuit with a MCU, effectively preventing the mobile phone from overheating while charging, making VOOC a cool fast-charging technology. You can also use your phone while keeping the fast charging speed, which is not possible with high voltage fast charge. 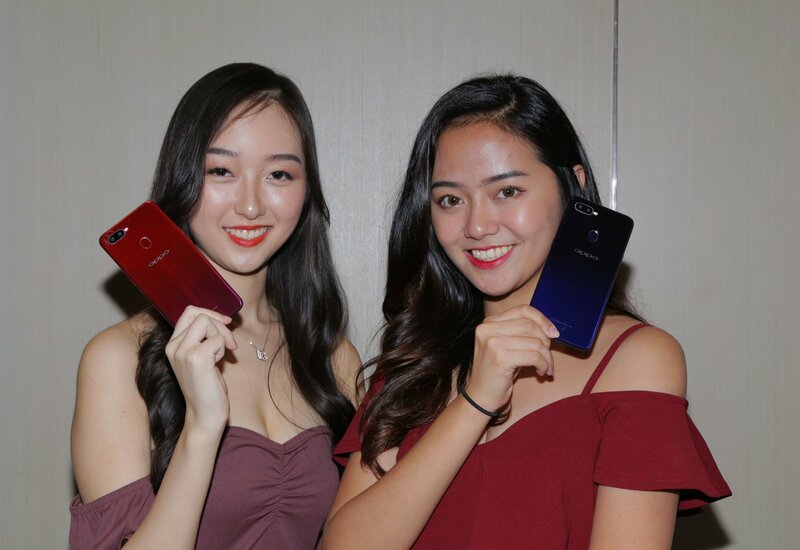 The new OPPO F9 has three (3) gradient colour combinations – Sunrise Red, Twilight Blue and Starry Purple. The Gradient Spraying Technology and “Frame Gradient” tech used by OPPO provides a perfect combination of gradient design on the back, and a more unified viewing experience for users. 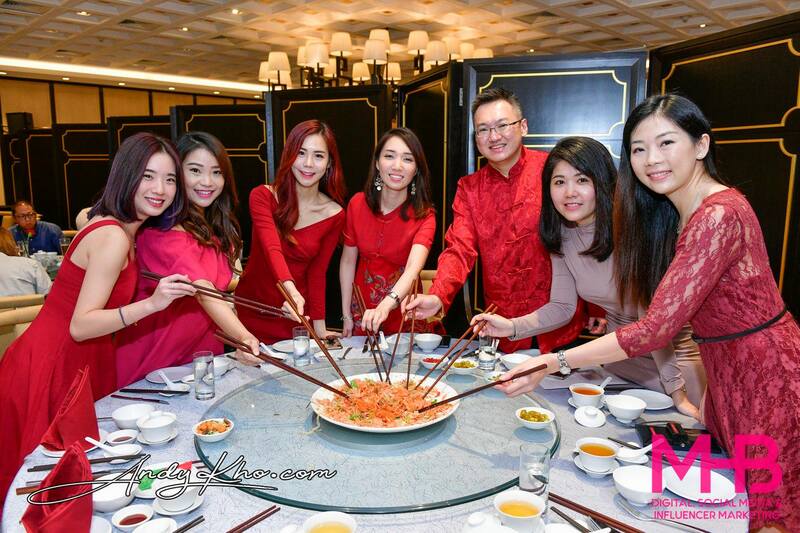 In the sunlight, the F9 shines like a crystal gem and flowing water in motion. 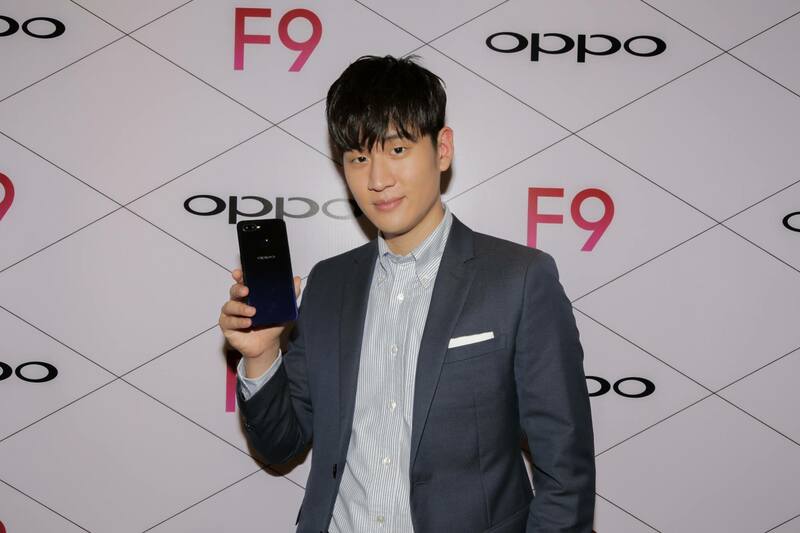 The colour design aesthetics of the OPPO F9 reflects both OPPO’s design ideology and is targeted at young consumers around the globe. Another prominent design upgrade in this model is the Waterdrop Screen, which is inspired by a water drop that is about to fall. The F9 comes with an impressive 6.3-inch bezel-less screen that features a resolution of 2340×1080 FHD+ and an aspect ratio of 19.5:9, a super-high screen-to-body ratio of 90.8%. OPPO is well-known as the ‘Selfie Expert’ and it is even further enhanced with the OPPO F9 that focuses on capturing all round beauty. 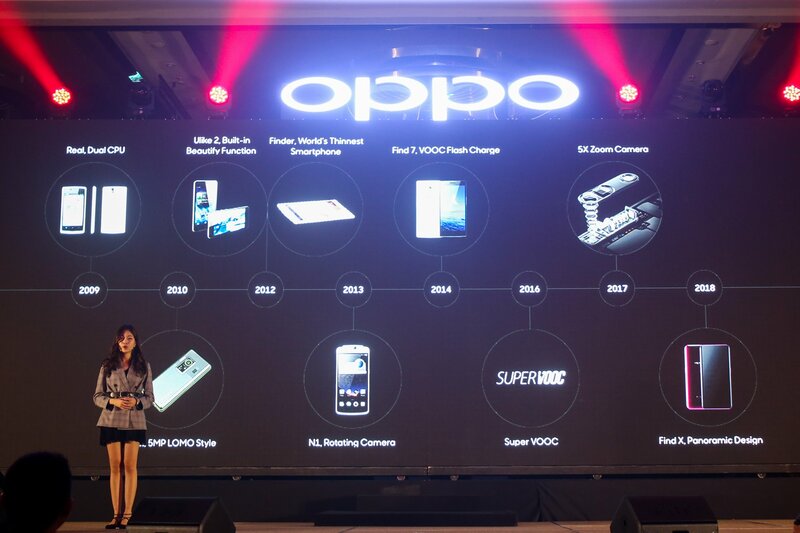 For the first time, an OPPO F series smartphone is equipped with AI-enhanced dual rear cameras (16MP + 2MP). The cooperation of the two cameras helps the processor calculate the depth of field and achieve a great Bokeh effect. When it comes to shooting with the rear camera, 16 independent and 800 combined scenes can be recognised by AI Scene Recognition. 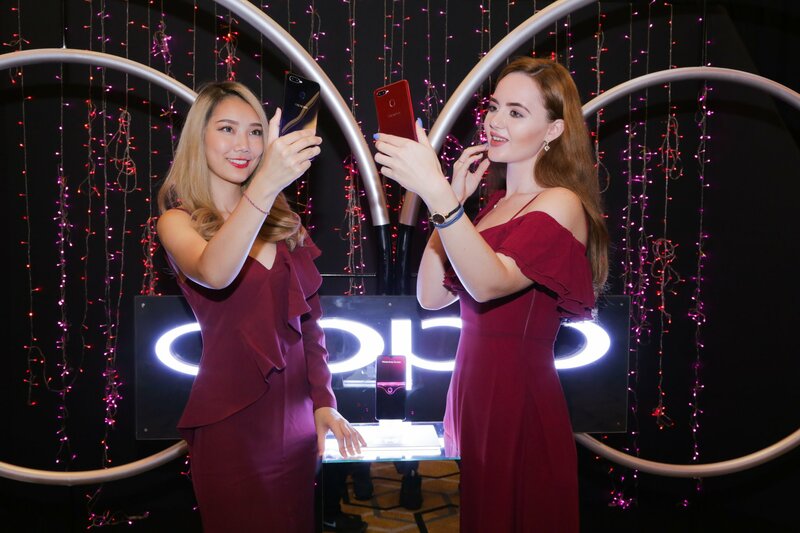 OPPO F9’s 25MP front-facing camera contains the re-invented ‘Sensor-HDR’ technology which dramatically improves backlight Selfies and allows users to check high dynamic exposure live effects in real-time. 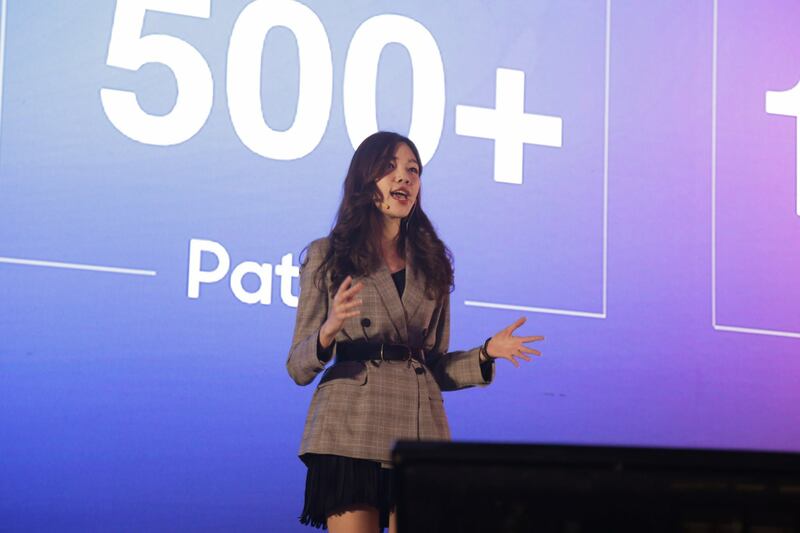 The OPPO F9 can now accurately collect 296 feature points for each subject, referencing them against its massive database of facial images, analysing features before making enhancements, customised for each subject. 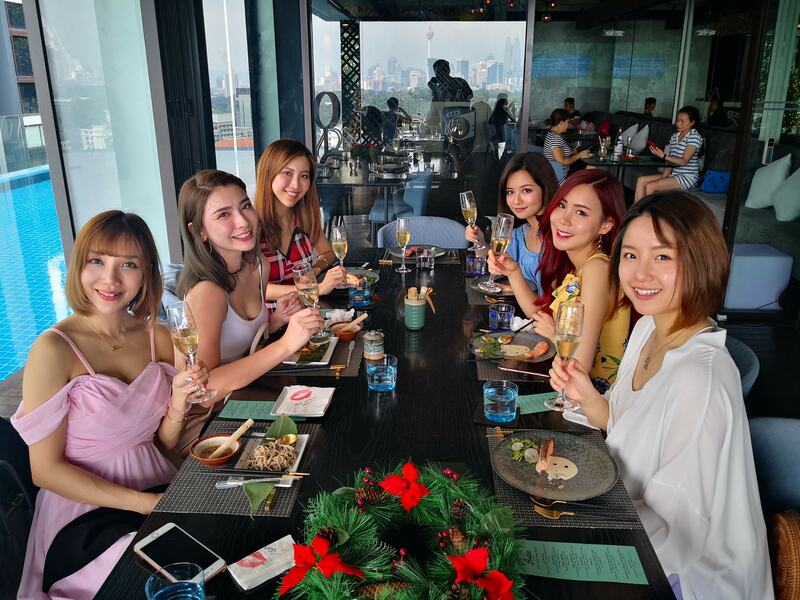 The AI Beauty Technology can provide users with 8 million different beautification effects resulting in personalised selfies that are more attractive while keeping the natural look of each human subject. 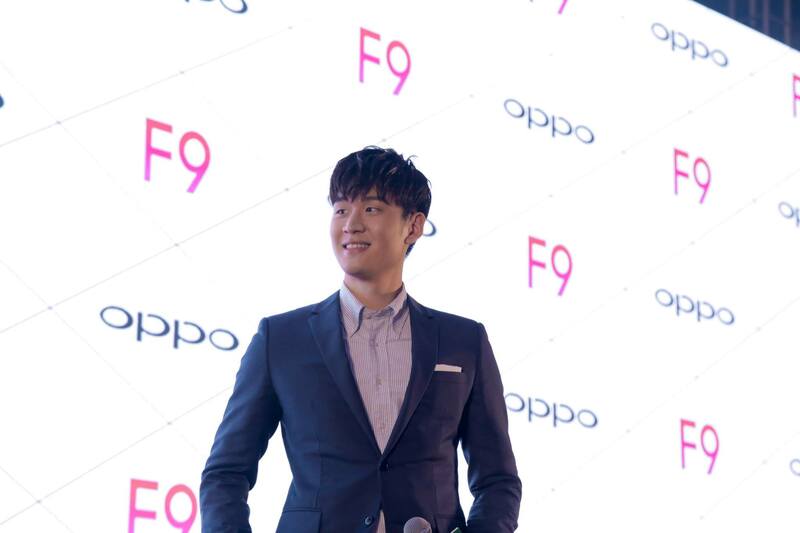 Additionally, the F9 supports camera features such as AR Stickers, vivid mode and slow motion video. 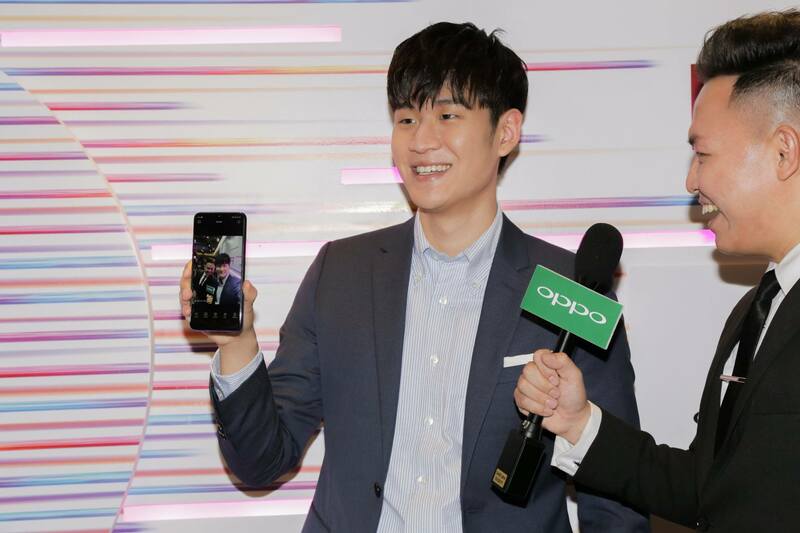 Based on Android 8.1, OPPO’s ColorOS 5.2 Operating System is intelligent, and can continuously analyse the user’s habits and preferences, aggregating the contents he or she is interested in, and enables the F9 to be “One Step Ahead”. The F9 is also equipped with the Google Lens that can identify the object and show relevant search results and information. When it comes to hardware, the 6GB + 64GB memory combination is definitely sufficient, while the phone also supports 256GB memory expansion. The F9 applies a design that contains 3 card slots, two for sim cards and one for the storage card. 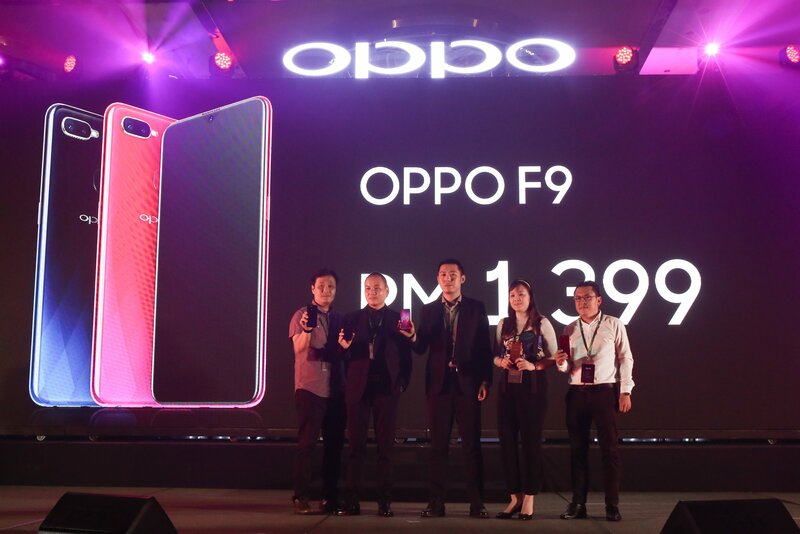 The OPPO F9 will be available to pre-order from 16 August 2018 onwards either offline at OPPO official concept stores and authorised dealer stores or online at the OPPO Official website and OPPO’s e-commerce partners’ sites such as Lazada, 11Street and Shopee. 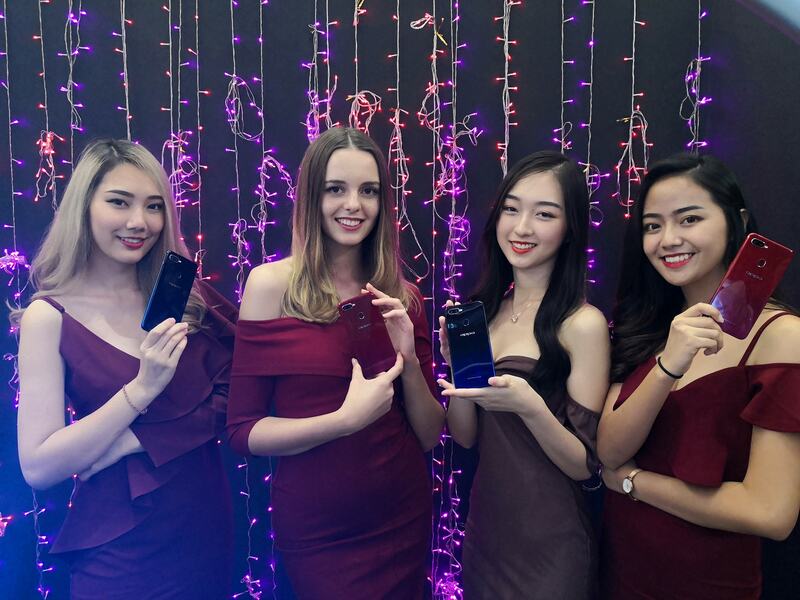 Consumers may also head to Celcom Blue Cube, Senheng and senQ as alternatives. Consumers who placed pre-order from any platforms will stand a chance to win a RM999 lucky draw cash reward during its first sale day on 30th August 2018, subject to terms and conditions. 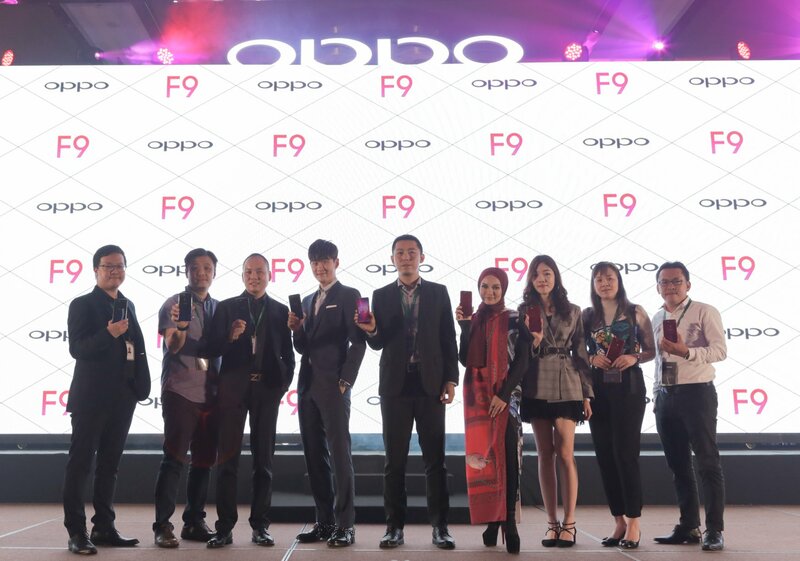 Pre-order customers may collect their OPPO F9 during its first sales day on 30th August 2018. Eric Chou performed a couple of songs for us to the delight of around 200 of his fans in the crowd who cheered him on! 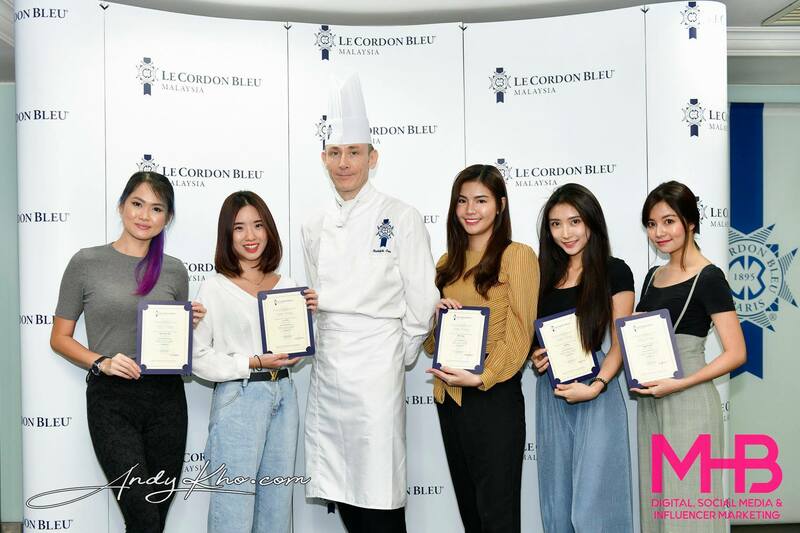 Try to spot me in this video of the press conference!